Road traffic accidents, sports injuries and interpersonal violence can lead to injuries to the soft tissues of the face & fractures of the facial bone. These are corrected by surgery and the fractured bones are fixed with miniplates and screws. What are the common bones involved in facial fractures? The nasal bone is the most common bone involved in facial fractures. 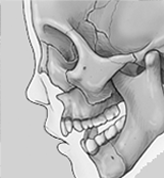 Other facial bones commonly fractured are : cheek bone (zygomatic bone), the lower jaw (mandibular bone), the upper jaw (maxilla), eye socket (orbit) and forehead (frontal bone). How are the facial fractures treated? After any initial resuscitation and when a patient is stable, the facial bone fractures would be treated promptly if there is either a functional or a cosmetic issue. Sometimes the ‘crack’ in the facial bone could be so minimal that the bones are not displaced. In such situations the treatment would be conservative with simple steps such as rest, soft or liquid diet and not sleeping on the side of the fracture. When the bones are displaced, surgery to replace and fix the displaced bony fragments should take place as soon as possible for best results. At operation the fractured fragments are aligned correctly and fixed using mini or micro plates and screws. Any deficient areas can be corrected using a variety of surgical implants or tissue transfer where necessary. How are the soft tissue injuries treated? Facial trauma affects primarily the soft tissues, where the force is sufficient the bones will fracture also. The soft tissue drape over the facial skeleton such as the skin, the facial muscles and the inner lining of the mouth (mucosa) may be crushed, damaged or lacerated (cut). This can also involve important nerves, blood vessels and ducts which suffer transient or permanent damage. Wound management by an experienced Maxillofacial Surgeon addresses these issues as well as suturing the facial lacerations using fine sutures, to restore best possible form and function.